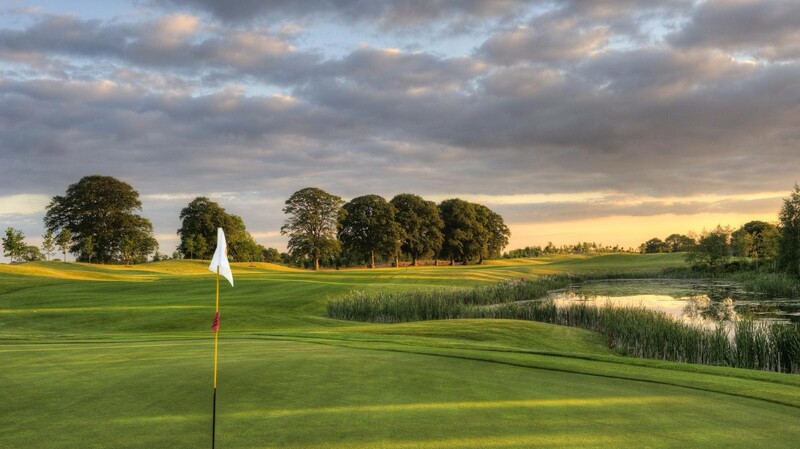 The 4 Star Knightsbrook Hotel, Spa and Golf Resort in Trim, Co Meath is already a well-established Wedding Venue for your truly special day. 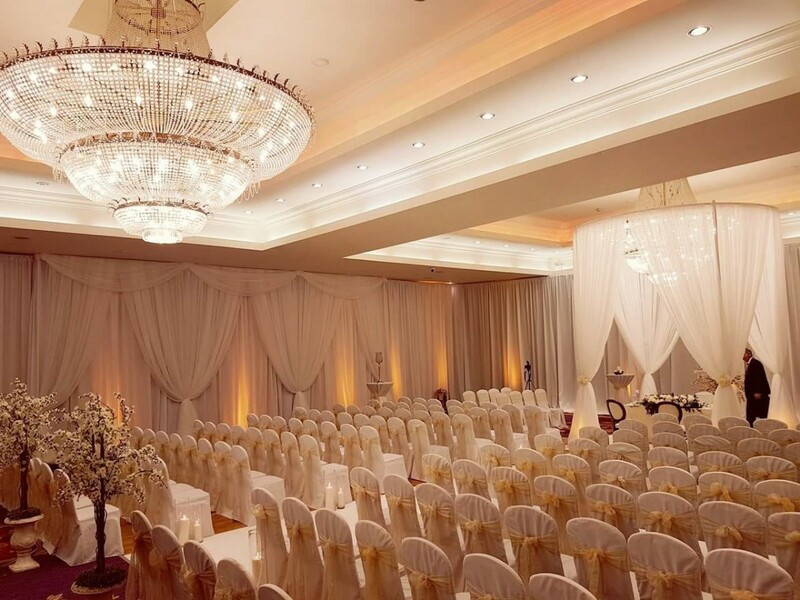 This luxurious wedding venue is a unique experience in timeless opulence combined with modern sophistication. We offer a bespoke wedding service to ensure that each couple has a total unique experience. Whether a grand affair, an intimate reception, a civil partnership or a traditional dinner, the Knightsbrook Hotel is your perfect venue. From the moment your feet grace the red carpet, the Knightsbrook Team will help create a lifetime of wonderful memories. With our reputation for fabulous food & discreet personal attention, your dream Wedding Day becomes a reality. 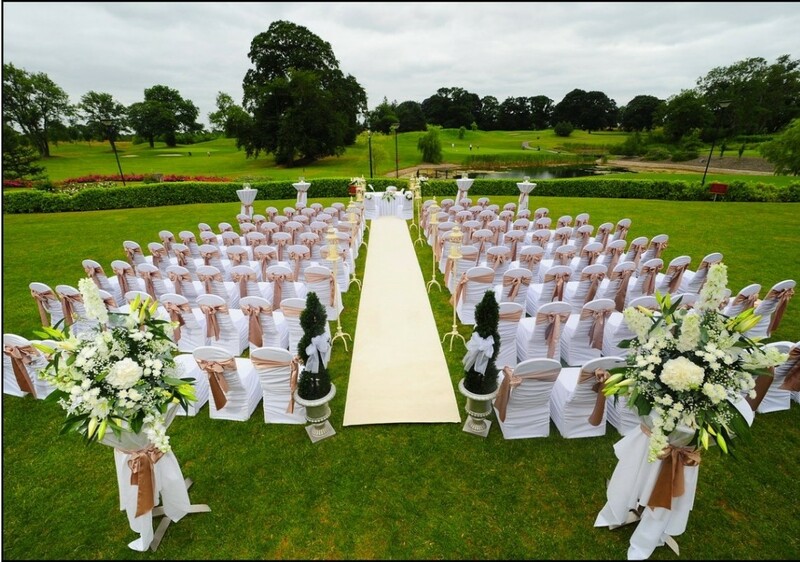 Set in 186 acres of magnificent parkland with stunning scenery, Knightsbrook Hotel Spa & Golf Resort has the perfect backdrop for those precious photographs of your special day. Knightsbrook for us was the perfect venue. On our first viewing we were met with friendly staff and the amazing Mary Troy. She could not do enough for us. So approachable, friendly and really knows her stuff. Our wedding day was everything we wished for and more. A wonderful venue. A must see for upcoming couples!! From the time we put down our deposit in knightsbrook I knew it was going to be amazing wedding and events team at the time me met Ally who so helpful and easy to talk to then she was replaced with Mary Troy who I have to say I felt I wouldn’t get some one as nice as Ally but how wrong was I Mary is an absolute lady nothing was a problem so helpful all the way through our planning and then the week up to the wedding I was so calm down to the fact that Mary had everything under control from booking early check ins for me nd my bridesmaids to organising a room for the groomsmen to get ready into ceremony room looked amazing and all guests commented on hotel staff how friendly and helpful they were accommodation was super and food was amazing please look no further if your considering this hotel for your wedding ours was just fantastic and all 140 guests said it was the best wedding venue they had been too thank you so much Mary Troy and all the wonderful staff at Knightsbrook hotel and also one of the managers Andrew who also couldn’t do enough for us all ???????????? Our wedding day in knightsbrook was amazing to say the least. We had nothing to worry about coming up to the wedding as mary was so fantastic. All our guests were so impressed with the food and the service. Everything about the place was amazing from the Susie at reception to Andrew the banquet manager. No request from us or our guests was too big for them. I would definitely recommend knightsbrook for your wedding day. They take all the hassle out of it. We had our Wedding in Knightsbrook New Year's Eve just gone and could not recommend it highly enough as a wedding venue. Everything was so effortless from booking the venue to the day itself and we could not have asked for more. Mary the wedding and events manager was so helpful and professional with everything and made sure everything ran as clockwork and Patrick went above and beyond to make sure everything was perfect. The hotel was perfect and we are still hearing comments from our guests on the excellent and friendly service from all staff and especially the food on the day which was just fabulous. It would be hard to beat Knightsbrook as a wedding venue !! Knightsbrook Hotel was perfect for our wedding. From the moment we met Mary, the wedding co-ordinator, we felt right at ease and knew after half an hour this was the place. Trusting your co-ordinator is massively important and we completely did. She delivered on everything we asked for and more on the day that we didn't even think of or forgot about. She is great to deal with and a good laugh too. The staff are all very friendly and very helpful. Such a positive place to have your wedding and lovely vibes around the hotel with happy staff. The grounds are gorgeous for photos and Patrick the manager brought us on a golf buggy to some fab picturesque places around the hotel. The food was superb and gave seconds out as a standard to anyone who wanted it - that went down very well as we went with fillet steak as one of our mains - many people had 2 steaks. The entertainment we chose for drinks reception, during dinner and evening reception all were set up with the help of the hotel in a very discreet way. The lighting in the ballroom is lovely and you choose whatever colour will go with your scheme. The honeymoon suite is fab, we loved it. We could only do one night - standard package comes with 2 nights so they allowed us to return a few weeks later for our second night - enjoyed it even more then having the whole day/night to enjoy it. The spa and pool area is a massive plus and some guests did use it and were delighted with it. All guests were so complimentary of the hotel, the food, the staff and the whole ambience. Thanks Knightsbrook and in particular Mary for making our day so special. We got married in Knightsbrook Trim on the 1st of December and can not recommend it enough. From day one we loved the place and even changed our date so we could get married there! In the lead up and on the day, Mary was fantastic and helped us with any issues we had. On the day everything was amazing. The place looked fabulous and even more so with all the Christmas decorations. The staff were brilliant and the food was amazing!! The bridal suite was also gorgeous! So many guests commented on how great everything was and we couldn’t recommend the hotel enough. Firstly we would like to say a huge thank you to the Knightsbrook, their staff and especially Mary Troy for making our wedding day so perfect. From the moment we arrived everything was just amazing. The hotel itself is just out of this world and it is amazing for your wedding pictures. Mary is an absolute treasure and is so professional,everything I asked for could be done without any issue or fuss. I could not recommend her enough. Our meal was just delicious and our guests are still saying it was the best meal they had at a wedding. All the staff are just so friendly and it was such a pleasure dealing with them all. I would recommend any couple to have their wedding reception in the knightsbrook, you will not be disappointed. I wish we could do it all again. Karen & Ronan McDonnell. We had the most amazing day from start to finish and a lot of this was due to the Knightsbrook, Mary was our wedding planner and she was absolutely amazing. Any query we had leading up to the wedding was dealt with so well. The food and service on the day were exceptional and we could not fault one thing at all. Thank you to all the team at the Knightsbrook for an amazing day! Review by Mr & Mrs Jones. Could not have chosen a better venue for our wedding! We were planning from overseas as we live in London, all staff were amazing and so helpful throughout the whole process! Whenever we had queries, help was just an email away and always left us feeling satisfied and confident that the hotel knew exactly what needed doing. On the day, we couldn't have planned it better ourselves, every little detail fell right into place, and we couldn't have wished for a more relaxed atmosphere throughout. Would highly recommend the Knightsbrook!!! We booked our wedding in December 2016 and received nothing but first class service during our planning and preparation for the big day. We were concerned that planning our wedding from the UK would be very stressful but The Complete Wedding Package meant that every little detail was covered. The venue itself is most impressive and the abundance of accommodation between bedrooms and self catering houses and the close proximity to Dublin Airport was brilliant for the many guests we had travelling from the UK and abroad. The food was just beautiful and the portions generous. The Bridal suite was fabulous and we really felt like we were in the lap of luxury with its spectacular views across the golf course. Thank you to Mary Troy the wedding planner who was amazing from start to finish, so helpful and professional. On the day the staff were so professional and the service was incredible and all of our guests felt most welcome. Thank you to the banqueting manager Andrew who was wonderful during our meal and we could call on him for anything we needed. Thank you to the general manager Patrick who was on hand on the day to ensure everything ran smoothly. We couldn't recommend The Knightsbrook Hotel enough and we wish we could do it all again! Thank you so much! We were delighted with our wedding day, everything went into plan, Mary the wedding planner of the hotel made an amazing job to meet all our requirements and on the day the staff was very friendly and professional. From the moment we met with the wedding co ordinator in Knightsbrook we knew that it was the place for us. Mary Troy was so helpful the while way through the wedding process. All emails and calls were promptly answered whenever we had any queries. The day itself was more than we could have imagined. Each one of our guests commented on the relaxed atmosphere, the friendliness of the staff and the amazing food. Hi Rhona & Bryan, Thank you for your fantastic review. We are delighted for you both and you were an absolute pleasure to deal with. Thank you for taking the time to review, and for choosing us as your wedding venue, it was an honour. Congratulations again from all of us! Mary (Wedding Planner) at Knightsbrook made planning our wedding from Melbourne, Australia a breeze. She was so accomodating and did everything to make our special day wonderful. The food, service everything at Knightsbrook was fantastic. We had our second day at the knightsbrook too and it was just a great as the main day. Highly recommend this venue. We had a fantastic day. The only error was that I had nowhere to get ready on the morning of the wedding. I was promised the bridal suite to get ready in, and when I arrived early morning to check in I was told they were both occupied, even though we were the only wedding booked for the Friday in Knightsbrook. A room in the hotel was found so I could get ready, but it wasn't at all big enough for myself and the bridesmaids to get ready - hence a very stressful start to the day. The 2 upgraded rooms for mother/father of the bride and groom were never given as I was told the guests were a 'no show'. My guests were unable to check into their cottages, therefore had to leave the wedding halfway through to check into their rooms. These errors were discussed prior to leaving and Knightsbrook couldn't have done enough to apologise. Otherwise, everything else was fantastic. We had our wedding reception in the Knightsbrook Hotel on Saturday 16th of June and had the most amazing day from start to finish. The events team (Mary and Katie) are so organised and were a pleasure to deal with in the run up to the day. Mary, Andrew and Patrick looked after us so well on the day. We were given our own designated food and drink when we arrived, everything was set up so spectacularly and the food at the drinks reception was delicious. The food at the dinner was equally amazing. Our guests are still talking about how much they enjoyed the food and service and how beautiful the venue is. Our bridal suite was just stunning, with a fabulous view of the golf course and the suite covered two floors. I would definitely recommend the Knightsbrook to anyone looking at hotel venues. You will be looked after so well and will not regret it. Thank you so much to all the team! The Knightsbrook could not have done enough for us. The whole team were wonderful to deal with in particular Mary, Katie and Patrick. We were delighted with the food and service. They can cater for larger numbers and nothing is forgotten about. The whole day flowed very well due to the excellent organisation skills of the staff. I would recommend the Knightsbrook as a wedding venue you will not be disappointed. The honeymoon suite is gorgeous and so are the views. From day 1, nothing we asked of Knightsbrook was ever made out to be a big deal. They were so obliging, professional and above most, friendly at ever single meeting or correspondence. Really wishing we could do it all over again! We had an absolutely fantastic day celebrating our wedding here. We found the staff went above and beyond to accommodate us in every way possible, which was especially important as we were planning our wedding from abroad. The food was delicious and our guests loved it. The day ran so seamlessly and couldn't have asked for more! We had planned to serve food in the residents bar after the wedding. Unfortunately our food was eating by a Christmas party that was using the hotel. I feel we should have been informed about this in advance before we agreed to put food away for this part of the night. This was the only issue on the day. When choosing our wedding venue, we were looking for somewhere with high standards, professionalism, warmth & beauty & we found all & much more in the Knightsbrook Hotel. From our first meeting until our final goodbye, the manner & professionalism in which all the staff in the Knightsbrook Hotel treated us & our guests was second to none. I cannot stress enough to future brides&grooms how highly we would recommend this hotel. Knightsbrook could not do enough for us on the lead up to the day and also on the day and the days after. Would highly recommend knightsbrook hotel to all future brides and grooms. Our wedding at knightbrook was just amazing. The team couldn’t be anymore helpful. I would recommend anybody thinking about having their wedding here to do so. Thanks to the team for all the help on the day. Knightsbrook was everything and more! It was the quality of the care and how welcome all my family and friends where made feel with there stay. Everyone is still talking about how amazing the food was and the next day food also. My kids and family’s kids where so well looked after and that was a worry for us as we had 19 kids and they all loved every min. Loved knightsbrook and can’t wait to go back. I can't fault this hotel. There was 1 hiccup on the morning of the wedding but it was resolved very quickly and it made no difference to our day. 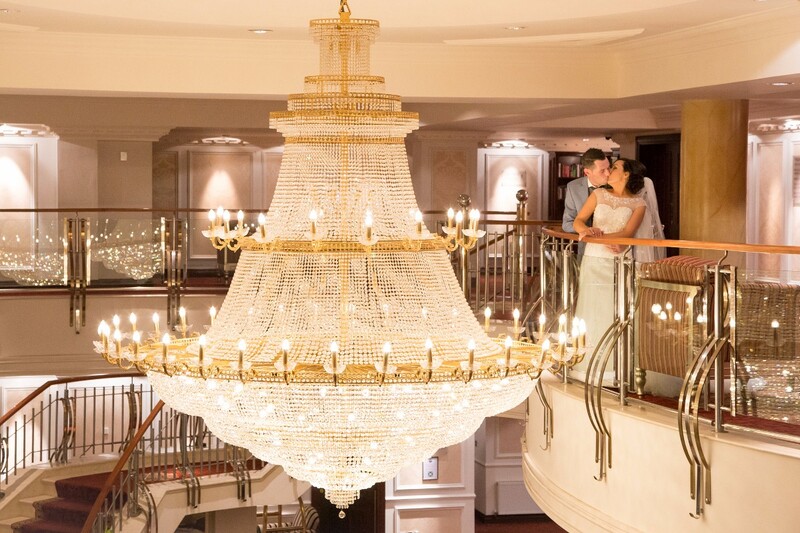 1 thing I was disappointed about was that I didn't get to have any photos taken on the balcony in front of the chandelier because there was 3 afternoon teas there. This is probably something that could be looked at for future brides otherwise this is a beautiful hotel with excellent staff. We had our wedding in the knightsbrook on the 20th of October 2017. From the moment we booked it in January 2016 right up until the day we got married the service we received at the knightsbrook was second to none. On the day we couldn't have asked for anything more. From ally our wedding planner to the general manager they went above and beyond for us!!!! Our day was perfect and for that we have the lovely staff of the knightsbrook to thank for that!!! Any brides who are considering booking the knightsbrook for their big day absolutely do you won't regret it!!! Great day from the time we booked.the wedding until the last day, staff were excellent, wedding planner was excellent if we could do it all again we would!! We had an absolutely amazing time for our wedding day all thanks to the Knightsbrook Hotel. Our wedding coordinator Ally and the rest of the Knightsbrook team were great, they looked after every last detail with true professionalism. Any queries or questions that we had in the lead up to the big day were responded to very swiftly and nothing was ever too much to ask for, we always felt very relaxed when dealing with the KB team. Our wedding day itself went off perfectly and all of our guests were complimenting us about the venue. 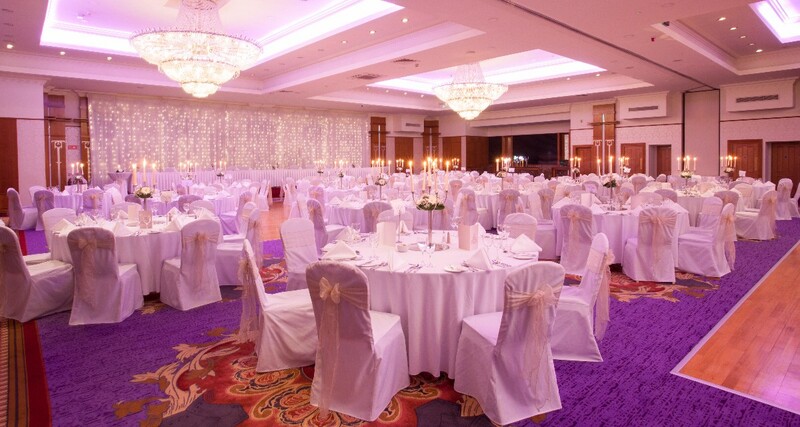 We would highly recommend the Knightsbrook Hotel for having a wedding. I have to say the staff in Knightsbrook hotel are outstanding. Ally and her team do a fabulous job. They cater for every need, they are all so polite and friendly. They are just the BEST!!! We couldn’t have asked for better service the whole weekend of our wedding and appreciate everything they did for us. KB went above and beyond what was expected to make sure that we had nothing to worry about on the day. Ally and her team were unbelievable professional. I can not recommend any higher. Would do it all over again if we could and wouldn’t even consider a different venue. After having our wedding hear could not recommend the hotel enough,the wedding team where brilliant from when we booked to our wedding day they where on hand if we needed anything and the hotel is fab for anyone having their ceremony hear the ceremony room is parfect.It was also a bonus having the holiday homes which are lovely as they where ideal for a lot of our guest. From day one of arriving to Knightsbrook hotel to view it for our wedding, we couldn’t have gotten better service. We met with Ally and straight away we knew we were in good hands. Ally is an amazing wedding planner and has so much advice to pass on if needed. The suppliers she reccomends are first class and she always has time for you. The run up to our wedding with the hotel was stress free and not once was there any issue with any requests. The day itself was amazing - from the minute we stepped into the hotel was perfect. We loved loved loved every minute. We had a late request of changing our entrance song which was requested the night before and this was done even though it was short notice. Aisling that helped me all day was brilliant, everytime I turned around, Aisling was there to help me with my dress or anything I needed. The room was superb and all our little bits that we had brought down was put in the correct places. The food was impeccable and everyone commented on the service and the food on how great it was. The hotel is kid friendly which was perfect for our wedding as we had approx 15 kids ranging from 1-16. The photo opportunity’s was fantastic with the golf course and the reception area. Our photos look amazing in the hotel. I truly enjoyed everything about our wedding in Knightsbrook. I could not praise them enough especially Ally, Patrick and their teams. It was an amazing day and still a day that friends and family are talking about. We had our wedding reception in the Knightsbrook in August of this year and it was the best day of our lives! The staff went above and beyond to make our day perfect, and Ally was exceptional when it came down to my many email queries! The girls in charge of reservations were also great. All in all I can’t fault the hotel because everything went 100% according to plan and we would recommend the Knightsbrook to anyone who was getting married in the future. The meal was also gorgeous! ???? The hotel was amazing, very clean. Staff couldnt have done enough for us, always there when we needed them and the food was gorgeous. I could not recommend the Knightsbrook enough as a wedding venue. From the monent we viewed it as a potential venue till our wedding day the level of service was so professional. Nothing was too much trouble and the wedding day itself we we treated amazing. Everything ran on time and everything taken care of so we could just relax and enjoy the day. We had a 2 day event and the excellent service continued through to the second day. Ally the wedding coordinator was always on hand to talk and thought of things we haven't even considered. Overall amazing venue inside and out. Starting the new year off with my new husband thanks to the Knightsbrook and its amazing staff, They made our day magical on the 27th from the minute we stepped into the door everything was perfect the staff made us feel like we where the only ones in the hotel and worked with us 100% the Bridle Suite was fantastic and we had a lot of friends and family staying in the hotel for 2 nights and everyone was trilled with the service and value of the rooms. From booking the wedding right up to saying good night to our guests the day was fantastic. Myself and my new Husband cant wait to go back to stay there again and even my family want to make a weekend out of it too. I cant thank you all enough. Knightsbrook Hotel has a very fine reputation for holding weddings and we found this to be very true. They even exceeded our expectations across numerous items at both the planning and the wedding stages. The staff were extremely friendly and helpful with a 'no task to big or small' attitude especially our wedding coordinator, Ally. The staff had a lovely balance of professionalism with a personal touch also. All of this, with amazing food and the spectacular venue, really made our day very special. Without hesitation we'd strongly recommend Knightsbrook to any of our friends. Knightsbrook were very helpful form day 1 when we went to view the hotel. I wanted changes to their normal seating plan and this was not an issue at all ,and on the day I had left people out of the table plan and Knightsbrook sorted it with no hassle. The porter was fantastic- we had him running around the day before and day after the wedding and he seemed very happy to be of use!! I have recommended the hotel to others and will in the future. We had a fabulous wedding at Knightsbrook, everything was perfect the food is amazing the staff are very friendly and welcoming especially Cian and Becky on front of house . The day is planned to perfection . We had a lot of guest travel from UK and hotel was very accommodating with early check ins the day of the wedding. We also had a second day after the wedding and that was equally as fab. Our wedding day was unbelievable from start to finish largely in part due to the knightsbrook hotel. The venue itself is absolutely beautiful which was only topped by ALL of the amazing staff! Our every need was catered to with the greatest of ease. The entire run up to our wedding with all the organising etc was extremely stress free and quite enjoyable! Ally was our point of contact and I can hand on heart say we struck gold with her, she was so professional, kind, accommodating and the best person to have to help navigate planning a wedding. She was there throughout the entire day making sure everything went off without a hitch and in the run up she was only ever an email away. Truly an asset to knightsbrook!!! The venue itself as I mentioned was stunning. Beautifully decorated on the inside and the grounds are just perfect for photos. We had plans to drive to trim castle to get some snaps but ended up staying on the grounds and I'm so glad we did as the photos turned out beautiful! The rooms are out of this world, I stayed the night before and the room I had was amazing, I would of gladly stayed there the entire weekend, but no...I was moved to the bride and groom suite which was even more amazing! The food from having lunch on the odd visit in the run up, to our tasting, to the meal itself was fabulous. Every plate that came out was exactly the same and every plate that went back was empty! The value for money was excellent aswell, everything was catered for even things like lanterns on the aisle to myself and my hubby sitting on thrones at the top table!! I would make this venue a serious contender in your wedding day as you would do well to top it! I would wholeheartedly recommend the knightsbrook hotel as a wedding destination, trust me you won't regret it!!! From day one when we booked our wedding we could not have asked for a better place Ally the wedding co ordinator was absolutely amazing not just with the hotel but with bits of advice we needed for other parts if the wedding. The staff are just unbelievable from start to finish not just on our big day but from the minute we booked they made us feel very at ease we didn't have to do much with the venue as ally had it all covered the colour theme and we had external suppliers also she told them where everything would look best. Cannot say how happy we were about our whole day in general. Great staff wonderful hotel and great food . Our friends and family still talk about it today. From day one when we booked our wedding we could not have asked for a better place ally the wedding co ordinator was absolutely amazing not just with the hotel but with bits of advice we needed for other parts if the wedding. The staff are just unbelievable from start to finish not just on our big day but from the minute we booked they made us feel very at ease we didn't have to do much with the venue as ally had it all covered the colour theme and we had external suppliers also she told them where everything would look best. Cannot say how happy we were about our whole day in general. Great staff wonderful hotel and great food . Our fiends and family still talk about it today. I cannot recommend Knightsbrook Hotel enough. Our wedding was perfect and the whole team from the reception staff to the events team right the way up to the general manager who was on site the day of our wedding were amazing. One of our biggest worries for the day was the food and this couldn't have been any better. We got married in knightsbrook hotel 29th April 2017. It was the most amazing day ever and we would love to be doing it all over again. We could not recommend knightsbrook enough. They went above and beyond for us. Nothing was too much trouble. Our wedding planner from the hotel Ally doherty was unbelievable and made us feel so much at ease. If we were to do it all over again i would choose the exact same venue. Take time during your day to sneak away together.even if its 5 short minutes.no family,no friends,no photographers.just chill and reflect on the day whats happened so far.the day flys by and a large part of the day,you will find yourselves separated from each other chatting to family and friends and taking pictures.the staff at knightsbrook where amazing at arranging just the right time to get away together for a few minutes.what a truely special day the knightsbrook gave us from start to finish.we are so happy in love. Got married in the knightsbrook hotel... we stayed from the 9th March till the 11th had the best weekend of our life..the hotel made everything perfect from start to finish all our guests and bridal part were delighted with every thing still talking about our wedding and the good food nearly a year later.. looking forward to our return for our anniversary. .. thanks to all the staff at the knightsbrook and ally for making our day run so smoothly and relaxed...thanks from Mr& Mrs Clune???? Nothing was too much trouble for the staff. Very helpful & made us feel our wedding was the only one. The most amazing hotel staff are so nice and so friendly. I cannot reccomend this hotel enough. I just love it and i am so happy we got to have our big day there. from the day we stepped in knightsbrook we knew it was our venue!! fab!! all through our planning and leading up to the day nothing was a problem and there was always someone to answer our questions. on the day everything was just perfect from the ceremony room detail to all my own bits i had brought they had everything perfect!! food and service was 100%. All my guests commented about how fab the venue was and how they really enjoyed the wedding!! would 100% recommend this hotel!! We had our wedding in January 2017 and from start to finish we found Ally the wedding planner always on hand to assist with any last minute changes with no stress on us everything was planned and executed to perfection . On the day it was more than we could of imagined Patrick and the staff when above and beyond their duties to ensure we had a magical day from the fabulous food and service to the fantastic babysitting service which meant so much that we knew our children were in safe hands and they loved their babysitter Holly she was just super. We had a fantastic day with family and friends with no stress which was thanks to the staff at the hotel. I am so glad we had our wedding at Knightsbrook. My wedding was fantastic I loved every second of the day. I can't thank the staff enough for all the help planning and making sure everything was perfect on our big day. Mark the event manager is amazing, he dealt with everything perfectly. Anything that we had not thought of he already had, he made the build up so easy and relaxing. On the day both Deborah and Siobhan were outstanding. They were both at our beck and call, there was nothing that they hadn't done and everything was 100%. I feel there is not enough stars to rate them. We've been to a number of weddings in the hotel and they have all been excellent. 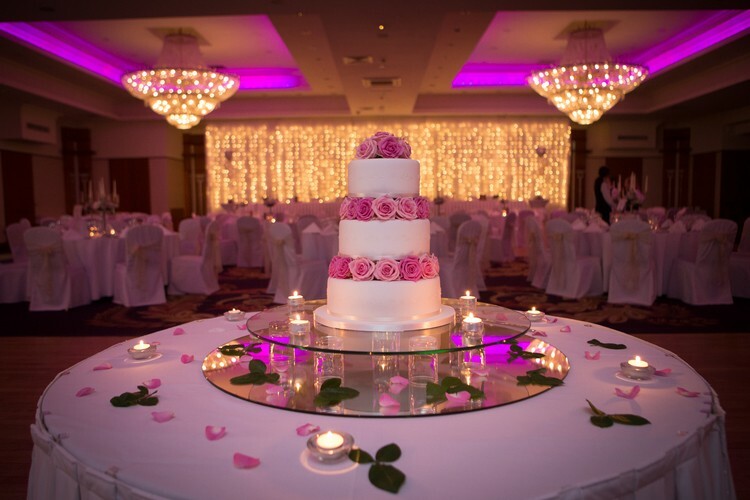 For all of these reasons we choose the Knightsbrook hotel as our wedding venue. From start to finish,every detail of our wedding reception was carefully planned,timed and organised to an exceptional standard. We booked the venue and paid the deposit and didn't need to deal much with the hotel until the month of the wedding. We went through every detail of the day with Mark our wedding coordinator. The questions he asked helped us plan and consider details we may not have thought of ourselves. He answered every email so promptly, it was such a personal service and I can't recommend him highly enough. He is excellent at his job. We were also dealing with the general manager Patrick Curran,who ensured we were happy and looked after us so well. All our guests commented how the reception ran so smoothly,this is down to the Knightsbrook planning. There are no delays and food is always served piping hot and delicious. They decorate the reception room to such a high standard, they there is no need to worry about any extras. The flowers are beautiful, the canapé and drinks reception is lovely too, with Knightsbrook adding details to make it personal to each bride and groom. The hotel looked after any items I wanted dispalyed on the wedding day-photos of our parents on their wedding day, etc. We took some beautiful photos looking onto the golf course and the views are stunning. The bridal suite is amazing, we felt so special and it was lovely to stay two nights. 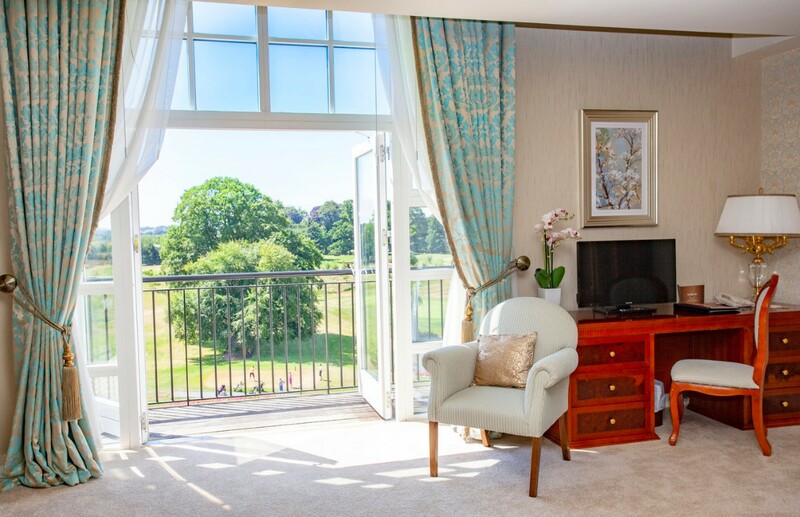 The suite has a sitting room area with an amazing view onto the golf course with the bedroom upstairs. The jacuzzi bath is so relaxing and it was lovely to hang my wedding dress on the mannequin. Our breakfast to the suite was delicious and our guest all enjoyed their buffet breakfast too. Caroline and Treasa were super busy and helpful on the day,ensuring everything ran smoothly. All the staff are exceptional. Hi Sinead! Sorry for such a late reply but am only back to normality now after the honeymoon- first day back at work was a shock to the system! Myself and Thomas just want to thank you all at Knightsbrook again for such an amazing day - everyone has commented on both the hotel itself and your wonderfully friendly and professional staff! It really all went so smoothly once we were in from the rain lol! Obviously you were such a big help along the way, we were never really worried about how the reception would go. Also, Caroline couldn't have been nicer or more helpful both on the Saturday and the Sunday. The venue really is a credit to all of you who work there and I plan on posting a glowing report on your facebook page. Thanks again for all your help. Just wanted to drop you a quick email to say a MASSIVE thank you to yourself, Caroline and all the staff in Knightsbrook for making mine and Terry’s day so amazing. We are all blown away by the efforts made by the hotel staff towards ourselves and our guests on the day and over the weekend. It was just perfect. We would have no hesitations what so ever in recommending Knightsbrook to anyone whether it be for a wedding or an overnight stay, it’s such a wonderful hotel. We plan to book an overnight stay with you very soon and can’t wait to go back . :-) Thanks again for everything. “Outstanding Venue” I would like to say a huge Thank You to the staff of Knightsbrook Hotel. Myself and my husband got married there on the 1st January 2014. Well what can I say? It was AMAZING. It was everything we imagined and more. From the very first time I Met Sinead to talk about the wedding I knew we choose the right place. We planned our wedding over 18 months and nothing was ever a problem or an issue with Sinead. She was so accommodating and helpful in every aspect of our wedding and also gave great advice and tips. She could not do enough for us. She really takes her job to heart and gets to know each of her clients. She is a credit to your company. As is Caroline who helped us loads and also has such a lovely manner about her too and the rest of the staff. From the staff in our reception drinks, the reception team, the bar staff, waiters, waitresses in the room and in the residence bar all were so friendly and accommodating and worked so hard to make our day so special. I had a lot of extras which I needed help with. We had a sweet table which we did ourselves and they set it up for us. I had a huge box of holly which they put underneath the wine glasses and placed the candles on top which I'm sure it was a job and a half and I have no doubt there was a few thorns in their hands. I had other little bits and pieces which they helped us set up. Our day went so smoothly from the minute we stepped into Knightsbrook Hotel. The food was amazing it was piping hot and plentiful. Our guests loved the hotel. Thank You so much for making our day so special, we enjoyed every minute of it. I cannot recommend Knightsbrook enough. Keep up the excellent work and service. We will cherish our day in Knightsbrook for the rest of our lives. “Absolutely fabulous.!!!! !” We recently had our wedding here, and i have to say the staff & service were excellent. I work in the hotel industry & would be very hard to please. From the first day we viewed the hotel until the weekend of our wedding the staff really could not have done better to please us. The food was fabulous, service 10 out of 10, the hotel was spotless. We where dealing mainly with Sinead & Caroline and really could not thank them enough for the service they provided. People might think the wedding package is a little pricey, but they definitely give value for money & more. I would definitely recommend this hotel for any occasion and definitely a wedding. We had a truly wonderful experience and have booked to return for a weekend in the coming weeks. “Excellent hotel for wedding” We got married in the Knightsbrook hotel trim on the 8th of September 2013 and we couldnt have asked for better day, from start to finish all the staff couldnt have been more helpful and so organised, our guests were also very impressed with everything from the ceremony room to the food to the rooms to the views. We would highly recommend the Knightsbrook hotel trim for a wedding or any sort of function or even just for a break away. “The ideal wedding venue” We recently got married in Knightsbrook and it was the most incredible day ever. Where do I start…from when we made the decision to host our wedding here the entire process was seamless. This is in no small part to the very professional, efficient staff that work here. Sinead, the very capable wedding coordinator, could not do enough for us and offer practical advice whenever it was required, no stone was left unturned which made planning a wedding a lot easier on our part. It is no wonder people speak so highly of her. Patrick, Caroline, Louis and all the staff from reservations, reception, the golf club and waiting staff all went out of their way to make our experience the best ever and one we will remember for all the right reasons. In terms of the venue, it has the ability to cater for larger and more intimate weddings, the grounds are well maintained and give an abundance of options for magnificent photos. The accommodation is ideal with various options to suit every need. We found the holiday homes particularly useful for our wedding guests. The food, as always, was second to none, even catering for 200 plus people, it was prepared and served as it would be for two people enjoying a top class meal in Rococo. Hats off to the catering staff. We would have no hesitation in recommending Knightsbrook as the ideal place to host your wedding, neither you nor your guests will be disappointed. Were do I even start!!! Myself and my Husband chose this hotel to hold our Wedding on Aug 16th 2013... from the get go it never disappointed! It got to the stage we turned our meetings wit the Wedding Planner into over night stays! I'll start at the rooms/guest houses... Our own suite for the weekend was HUGE, spotless clean and all ya wanted for a bridal suite! Our family and friends raved about the rooms an houses right down to the knifes and forks, the putting green out the back, the comfort of the beds which we know is hard to come across, the cleanliness and not to mention the jacuzzi baths! The food throughout our stay was top drawer, I'm no food critic but I no me good roast beef, steak dinner and chicken when I get it! The selection for brekkie need not go unsaid either! Spoilt for choice! To get down to the staff an the big day itself I don't even know where to start... Caroline and Patrick were excellent on the day, and the following day at the BBQ, no favour was too big or small! Be it that I forgot to order me Dad's melon for his starter (it was in his place before I got to finish the request) or the fact that we had 20 extra people for our BBQ cause everyone was enjoying the hotel tat much they stayed on and pulling out the extra table an chairs was done without fuss! People can say that's what staff are there for to tend to you, your requests etc but when its done wit a smile and standard of the Knightsbrook it simply couldn't not be "just part of the job".... To get to the most important person... Sinead Coll Lonergan, what can I say, she made the Wedding what it was and didn't leave a stone unturned.. Giving that I'd only ever been to one wedding in me whole life and the second was me own, to hear the guests feedback, I have give the credit were its due and tats defo a major part to Sinéad!!! Nothing I asked of her was (even though I knew) a stupid question! Always at the end of a phone or email, she runs weddings like clockwork, she is a credit to the Hotel and I'm sure sets the standard, not just were a wedding is concerned but to staff throughout the hotel! At the beginning of our initial search for our wedding hotel my words to my husband were "Not the Knightsbrook, I know of too many weddings down there" however after the arm twisting, wen I walked into tat hotel the 1st time and met wit Sinéad I said to myself "This is why there's so many weddings here" I hope that would sum up to a certain extent to anyone looking for the wedding location, esp for photos, the hotel an grounds and also Trim Castle ruins just up the road! I also need to touch on again how much the guests rated food, staff, accommodation and the entertainment, how well they were all treated even when we were the noisy crowd having the sing song, the whole atmosphere at the hotel, even all the kids (and ourselves) spending the following day in the pool for hours, the women treated themselves to massages, some took trips up to the town for the day, it was described by many as a little "family holiday" we hadn’t one negative thing to say as hard as tat may be to believe, but don't knock the Knightsbrook til you’ve tried it! We already have the reunion night planned!!!! Review by Elaine and Ger. We thoroughly enjoyed our wedding day... The staff were extremely helpful, approachable and highly professional. The food was lovely and it was much appreciated that both coeliac and lactose free guests were looked after. All staff went above and beyond there call of duty on the day and Sinead’s help since day of booking reception was much appreciated. We cannot thank all involved enough. I really enjoyed my wedding day the only thing I would change is that I would have my Ceremony at 2/half2 so I had more time for photos and mingling before the dinner. We had a wonderful day at the Knightsbrook Hotel. The staff went above and beyond for all of our needs. It will be a day we will always remember and cherish. The Knightsbrook is by far the best hotel in the locality to hold a wedding. They leave nothing to chance and the staff and facilities are fantastic. We had an amazing time and the feedback from everyone has been fantastic. Louis and Caroline stand out for us. Louis was the first person we met when we viewed the hotel first and he made a huge impact on us. Everyone there is a credit to your business. The food and volume of food was outstanding. Thank you for making it a day we will always remember. "My Daughters Wedding." Had my daughters wedding reception in Knightsbrook recently. The care to detail before and during the wedding were excellent. The staff were very courteous, polite and very helpful.The food for the wedding reception was of a very high standard. I would not hesitate to recommend Knightsbrook for a wedding reception to anyone getting married. Looking forward to spending some time there in the near future. “My Wedding” I had my wedding here on the 8th of June and I have to say the hotel really exceeded my expectations. The staff, the service, the food and the hotel itself was just amazing. I would definitely recommend this hotel for a wedding, weekend break, spa weekend or any other type of trip you may take. I had the chance to see the self catering houses also where some friends were staying and they are out of this world. Please take the time to come and stay at this hotel as you will not be disappointed. I had my wedding here on the 8th of June and I have to say the hotel really exceeded my expectations. The staff, the service, the food and the hotel itself was just amazing. I would definitely recommend this hotel for a wedding, weeekend break, spa weekend or any other typw of trip you may take. I had the chance to see the self catering houses also where some friends were staying and they are out of this world. ? Please take the time to come and stay at this hotel as you will not be disappointed. “Fantastic Hotel!” We had our wedding here in July this year. From the very beginning, Knightsbrook was the hotel for us! Sinead, the wedding coordinator, went out of her way to answer all our questions and make sure we had the wedding of our dreams. As the big day approached Sinead and Berenice were in regular contact with us making sure everything was in order. The whole planning process was stress free and very easy as a result! The Big Day couldn't have gone any better. Sinead, Mark, Caroline and the rest of the Knightsbrook team looked after everything. All our guests commented on how welcome they felt in the hotel and how helpful every member of staff was. The reception room was perfect and even with such a large crowd we had plenty of space to move around and enjoy the celebrations! The standard of food was definitely the highest we've had at a wedding. All our guests had second helpings and are still raving about their meal! All the bedrooms were of a very high standard and very comfortable. The Bridal Suite was amazing and provided stunning views of the grounds. Our bags were delivered to the suite and breakfast was delivered for us the following morning. We finished our celebrations with a barbecue on the patio the following day. Again the standard was high and the attention to detail was faultless. We really had a perfect day and if we could do it all again, we would still choose the Knightsbrook Hotel. Was here at a wedding last year (And by god I've been to a lot of weddings!) This place was a dream location and stood out by miles. Always remembered how the separate reception room greeted us with canopies and a bright panoramic view. Was overall a stunning location. ? Didn't stay overnight but perfect wedding location. “Beautiful all around.” Was here at a wedding last year (And by god I've been to a lot of weddings!) This place was a dream location and stood out by miles. Always remembered how the separate reception room greeted us with canopies and a bright panoramic view. Was overall a stunning location. Didn't stay overnight but perfect wedding location. My husband and I got married in the Knightsbrook hotel last month.We stayed, as part of the package, for three nights.It was more like a holiday than just a wedding. The rooms were amazing. Very sophisticated and luxurious. The surroundings were beautiful. We had a balcony in the bridal suite overlooking the golf course. The breakfast buffet was delicious - especially the homemade waffles!Our wedding was perfect.A very intimate affair with relaxing mood lighting candelabra and the famous chandeliers! As for the staff- you couldn't get any better.EVERYONE was so accommodating especially SInead and Caroline.We were treated like royalty for our whole stay. I can't give Sinead the wedding coordinator enough credit. She was professional and friendly from the beginning. She is amazing at what she does. She really made us feel special and never tired of all my questions in the lead up! I can not recommended Knightsbrook enough, especially as a wedding venue. Excellent assistance before wedding day. Great reception on wedding morning, brilliant service from staff (Louise,Caroline) for meal and afters. The wedding co-ordinator Sinead was absolutely fantastic, helpful, polite, on the ball yet discreet. Louis originally sold us on the hotel, Sinead sealed the deal. As the father of the bride I could not have asked for a better hotel.. Family friendly with houses available on the grounds. The barbecue the next day was equally excellent (Louise again) and a perfect way to finish off the wedding.? Highly recommended Room Tip: Try and book a room with a balcony overlooking the golf course. We held our wedding reception in knights brook on Friday 26th of April staying both the Friday and Saturday night....one word Fab!!! The service, food, amenities and general atmosphere of the hotel was second to none! Sinead the wedding coordinator and her team was on hand from the moment we booked our reception right through every fine detail of our day and in the days after to ensure everything went as we hoped! Which it certainly did! Her attention to detail and advice, I as a bride won't forget and am very grateful for... I would also note,Patrick the general manager also met us on our arrival To the hotel that afternoon and continued with his warm reception to all our family and wedding party the entire weekend something you don't often come across... We are delighted we chose knightsbrook for our wedding as the hotel certainly added to the special day that it was. Highly recommended by us the bride and groom and our guests as a first class wedding venue, hotel and trim as a town in general! Thanks to all the staff for a fantastic weekend of great service, food and Craic! We are already planning our next stay!! My husband and I were lucky enough to get married here in February 2013. From the second we looked at the hotel, we fell in love. Sinead, was so professional with our requests and budget. She was always on hand to help or discuss any issues we had. The day was perfect, the second we pulled up outside, management and staff took over. ? The room was amazing, I broke down when I saw how beautiful the room was and how the staff had given me my dream day. The food was out of this world and all my guests agreed. The salad, soup, beef and seabass were to die for. ? ? The bridal suite is amazing, a two storey room with beautiful views! We stayed for two nights and the food the second night was beautiful also. All our guests commented on the quality of the food for dinner and breakfast and the reasonable rate for their rooms. They were delighted with their rooms also. ? ? We simply cannot fault this location. 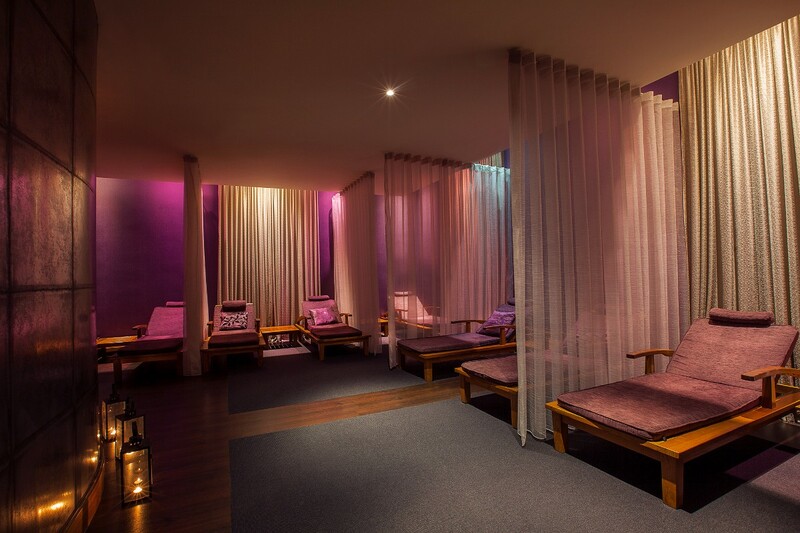 We have stayed on two occasions and visited the spa also and I enjoyed each stay immensely. I wouldn't hesitate to recommend the hotel as a wedding venue or for a break away. We got married on the 8th ofMarch in Knightsbrook. We stayed for 3 nights. The night previous and also a BBQ the nigh after. We also had our ceremony in the hotel. From the moment we first walked into Knightsbrook to book our Wedding the staff were brilliant. A huge Thank you to Sinead whom from the first day we met was a huge help and made our day the dream wedding we wanted. We have 3 kids and there was nothing too much trouble. The food was 10/10 on all three days. The bar food, wedding meal and also the BBQ. I would just like to say Thank you again to all the staff at Knightsbrook..thank you for making our Wedding weekend run smoothly and stressfree ! Really beautiful hotel ,with fantastic staff and food. I would highly recommend this hotel. I would highly recommend the Knightsbrook hotel for a wedding. I had a spiritual ceremony in the Knightsbrook hotel in Feb 2013 and it was amazing. The staff were extremely friendly and we were well looked after over the whole weekend of our wedding. We stayed in a house on the grounds the night before our wedding and they are very spacious. Our wedding day was amazing and we have the wedding coordinator Sinead and the staff to thank for that. 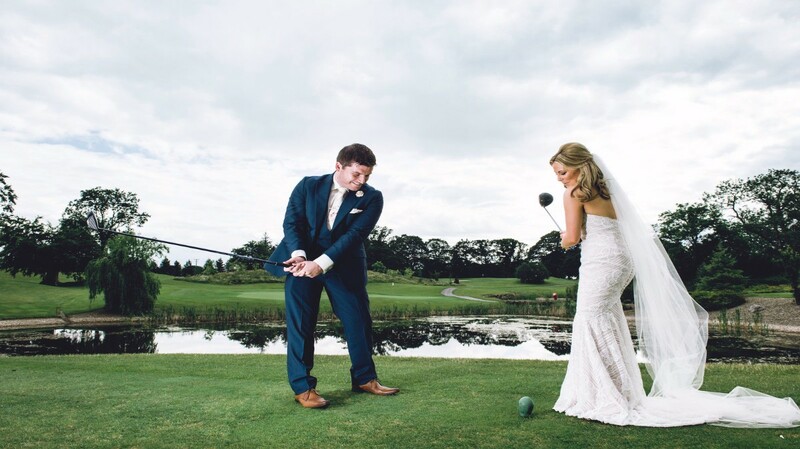 We recently held our wedding reception in Knightsbrook Hotel & Golf Resort and I have to say we cannot recommend this beautiful hotel enough to anyone thinking of a venue in Trim. Our guests are still calling us to rave about everything from the food to the decor of the banqueting room and hotel in general to their bedrooms. The staff was amazing, so polite and helpful to our guests. I cannot thank the events Team Sinéad and Niamh, the lovely Caroline and Kate on reception enough for their utter professionalism and expertise ensuring myself, my husband and our guests wanted for nothing during our stay, and also Patrick for such a warm welcome. 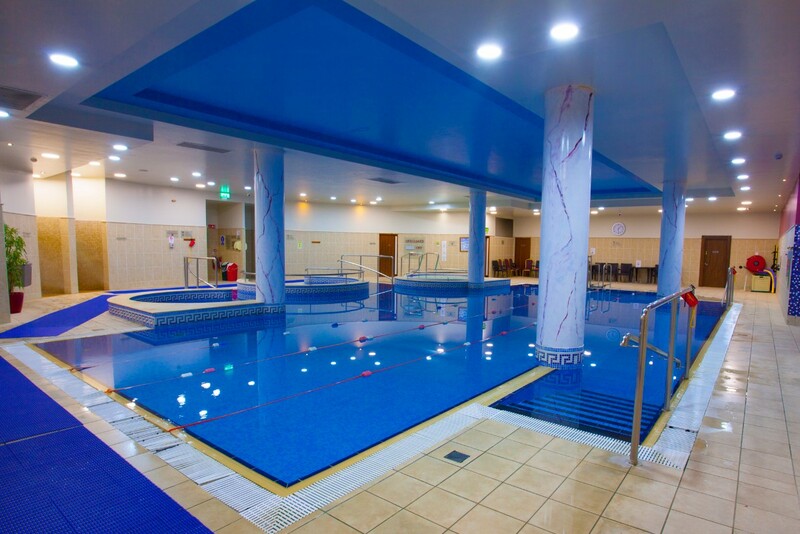 Our guests also availed of the use of the leisure facilities on the day after and were delighted with the value for money they received knowing this was all included in the price of their stay. Others used the opportunity of the next day to sample the golfing and spa facilities. Some of our guests also used the courtyard homes and could not believe the comfort and luxury they found within their 'home'. We would have no hesitation in recommending this hotel for an event or mini break and would encourage you to sample the hospitality for yourselves. This review is long overdue!! We held our wedding reception in Knightsbrook Hotel & Golf Resort in May 2012 and while we understood immediately how much the hotel had delivered the WOW factor – it is only more recently after attending 3 other weddings in quick succession at different venues that we really appreciate how far out all the stops were pulled by Patrick & the staff to make our day so special. ? 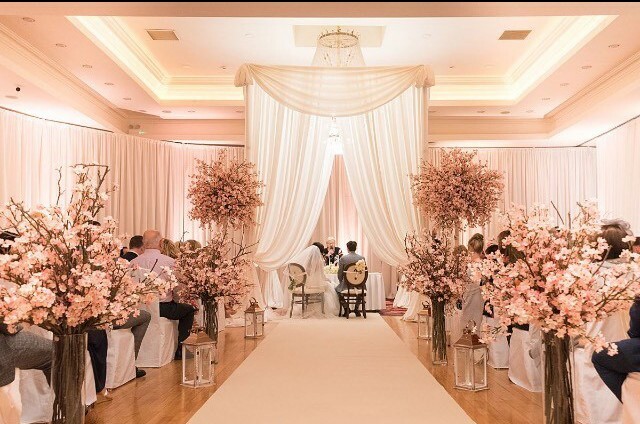 From the 1st time we viewed the hotel to consider it as a venue and met Sinead, the wedding manager – we were hooked immediately. Such was the level of professionalism that she showed us that day, we were so confident in the venue that we cancelled the 2 appointments for the following day to view other locations and booked it on the spot. Every contact prior to the wedding extended our confidence in the fact that we really had found somewhere special to celebrate our big day. The level of confidence she gave us in both her abilities and the hotels meant that we virtually went with all her recommendations and are totally happy that this was the right decision. To personalise the day a little further we were also able to discuss variations of the menu options with the head chef, John.? The day itself was flawless with all our guests giving the venue, the atmosphere, the food & the rooms rave reviews. All the staff made us feel at home, at ease and comfortable throughout the day. Their overall professionalism was 1st evident from the fact that the general manager Patrick, as well as Sinead and the 2 banqueting managers – Caroline & Mark greeted us at the front door upon our arrival. For them to serve over 260 top-class meals in as efficient manner as they did that day says something about the quality of staff!! ? While it was a late night (!!! ), the following day saw ourselves and many of our guests enjoy the golf course and the spa – both of which were top class – before adjourning to the golf club for a BBQ reception. Again, in one word – faultless!!!!? We simply could not recommend the Knightsbrook highly enough for any event or occasion – but as a wedding venue it is spectacular. All the staff even look happy to be there and are always ready to assist – something that can be quite rare nowadays. ? To Patrick, Sinead, Mark, Caroline, John & every member of staff for creating & delivering a huge WOW factor to us and all our guests – THANK YOU. My husband and I were lucky enough to get married here in February 2013. From the second we looked at the hotel, we fell in love. Sinead was so professional with our requests and budget. She was always on hand to help or discuss any issues we had. The day was perfect, the second we pulled up outside, management and staff took over. The room was amazing, I broke down when I saw how beautiful the room was and how the staff had given me my dream day. The food was out of this world and all my guests agreed. The salad, soup, beef and Seabass were to die for. The bridal suite is amazing, a two storey room with beautiful views! We stayed for two nights and the food the second night was beautiful also. All our guests commented on the quality of the food for dinner and breakfast and the reasonable rate for their rooms. They were delighted with their rooms also. We simply cannot fault this location. We have stayed on two occasions and visited the spa also and I enjoyed each stay immensely. I wouldn't hesitate to recommend the hotel as a wedding venue or for a break away. Just recently got married (feb 2013) in knightsbrook hotel and our wedding day was just perfect. The venue itself is spectacular and the service we recieved in my view is unrivaled. From Aoife and the reception staff, to Oliver & bar staff and waittresses, to the general manager Patrick,to Caroline and of course the wonderful wedding & events manager Sinead,you all are a brilliant team. Our food on the day was amazing and considering you were catering for 300 guests you exceeded all our expectations. The personal touch each staff member displays is something you dont see anywhere nowadays. Thanks Knightsbrook for making our day so special and memorable. I had my wedding on the 31st January 2013 in knightsbrook hotel. I can not put into words how amazing the day was. I have knightsbrook to thank for this. My boyfriend plays golf here and suggested we had a look at the hotel. From the minute we entered the hotel it looked and felt fabulous, they had a package that we liked and they amended it to suit our requests. The day before we brought all our bags to the hotel, they had the tables laid out and let me set up my own candy table, this was a huge help as I was delighted with the lay out of the room and any changes they were happy to oblige. The day of the wedding was absolutely perfect, I could not fault the hotel! The service was excellent, all staff from the cleaners on the corridor to the general manager were so friendly and approachable. The staff made sure that the day was perfect and there attention to details was outstanding. I can't thank them enough for making all my dreams come true. All the guests were so happy with there rooms and the great price package you provided, also the food was complimented by all the Guests. What I loved the most after serving dinner the staff offered second servings of both the sea base and beef so the guests could have both if they wished ( and some did)!! The food in the restaurant and bar is the best we've ever had ( and we are both fussy about food as we like to eat out a lot). The day after the wedding 25 guests played golf and some other guests had afternoon tea in a private room where we had tea, sandwiches and wedding cake. It was absolutely perfect. The following day we enjoyed the spa where i totally relaxed and thoroughly enjoyed my massage, so much I went back for a second one the following day. I need to say a special thank you to mark, he took care of us for the day before our wedding, the day of and the day after. His attention to details was remarkable, he was present anytime we needed him, he was professional, friendly and made me and my husband feel like the most important people in the world that day. We will be forever grateful to knightsbrook hotel and the staff for making all our dreams come true. I would highly recommend knightsbrook hotel to anyway looking for a break away, but especially booking a wedding, I can not fault the hotel in any area!! We had our wedding at the Knightsbrook Hotel & Golf Resort on 21st December 2012. It was fantastic and everything we could have dreamed for and more.. We organised our wedding from Australia and the help we got from the Events Manager Sinead was just brilliant which made organising our wedding from 10,000 miles away much easier. Sinead was on hand to give advice on anything we needed and also recommended our Band & Photographer which were also excellent and made for a memorable day/night. All I had to do was pick up the phone or send her an email or a text and she responded straight away. The Food, bedrooms, bridal suite, service & layout of the function room for our wedding was just stunning and everything ran smoothly. All of our guests were complimenting the hotel and how well everything went. Staff was fantastic. I would highly recommend Knightsbrook as a wedding venue. We got married on the 4th September 2009 , From the First time we went to the hotel both of us fell in love with it . The Staff , food and service we recived was excellent . Caroline could not of done any more for us , she made our wedding day very special . All our guests said how bueatiful the hotel was . I would highly recemond this hotel to any body looking to get married here . Just a note to say a big thank you to all the management and staff of this superb hotel, we got married 27th sep 2008, The hotel from the moment we booked it took all the worry out of the reception and Caroline is a true treasure for this hotel. Our day went off without a hitch and this was down to Sinead, the Manager and Dep Manager on the day, the meal was first class, the room was amazing and the service was 5 star, if your looking for a venue look no further Knightsbrook has it in abundance. Thanks Again, John & Laura. Just want to say a big Thank You to all the staff and management at Knightsbrook Hotel for making our wedding reception on 2nd August 2008 so perfect and amazing. I would highly recommend Knightsbrook as a wedding venue. Staff, food, service everything was excellent. All our guests commented on the hotel and especially how excellent the meal was. Thanks again Knightsbrook. Claire & Paul.